Tea flushes are new shoots, or leaves, plucked from the tea bush as it grows. will have a shorter flushing season. 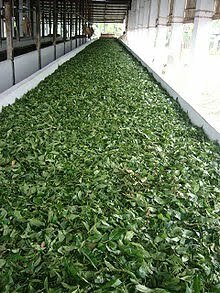 are considered to be the highest grades of tea. The best flush is two tea leaves and a tea bud from the top of the plant. 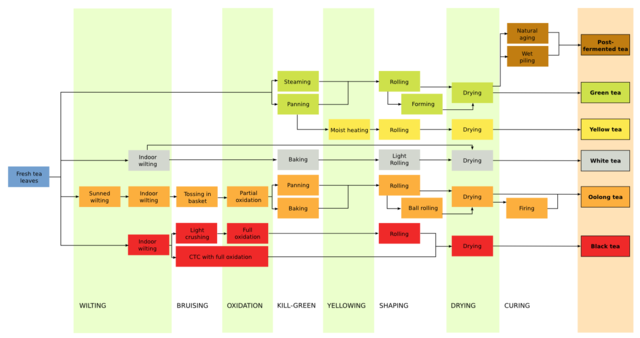 All of these terms refer to the “flush,” or picking of the tea. Each growing region has its own condition and many cultures have their own nomenclature, but the basic principle is the same. from the stalk of the tea bush. These shoots have two leaves and a bud on the end. They contain the most catechins (antioxidants), L-theanine (a stimulant) and caffeine of any of the pickings. They also tend to have a very delicate taste, a light infusion color and a short shelf-life. it begins a short period of dormancy. During this time, it grows, but very little. The growth is trimmed to encourage new growth. New leaves grow and are harvested. Some areas have subsequent harvestable growths, some don’t. but the terms “first flush” and “second flush” are very common. Indian and Japanese teas are most frequently named by flush. Below are the names, qualities, and growth time of flushes from India and Japan.